Customer Service is not only our Promise… it’s our Passion. Gold Limousines is a family operated, Gold Coast business with more than fifteen years experience in providing an exceptional standard of limousine hire service for the region. At Gold Limousines we understand that our customers want punctual, stress free luxury transportation. 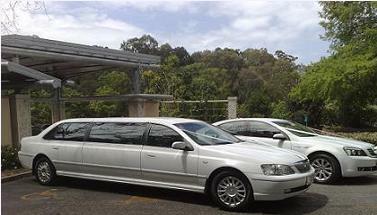 Our limo drivers are professional and courteous and have a excellent knowledge of the Gold Coast. We have a range of vehicles from sedan Limousines, stretch Limousines to people movers and mini buses, all air conditioned and fitted with the latest accessories and safety features. We cater for a variety of needs including – All Limousine Transfers, Weddings, Airport Transfers, Formals, Tours and Special Occasions throughout the Gold Coast. So for Gold Coast Limousine Transfers please call toll free on 1800 610 663 and receive a courteous response and travel in comfort at Gold Limousines Gold Coast in one of our luxury late model Limousines.